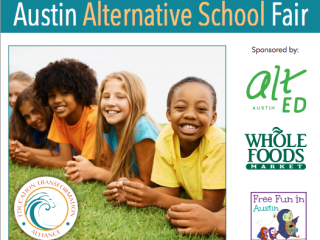 Join the Education Transformation Alliance on the Whole Foods Market rooftop plaza to visit with some of Austin's most effective educators from innovative learning environments. You'll learn about different schools and other educational programs serving students from preschool age through high school. This family-friendly event features hands-on activities for kids of all ages, healthy and delicious Whole Foods snacks for purchase and a free performance by Lucas Miller the Singing Zoologist. Check out the Facebook event page for a full list of participating programs. Alt Ed Austin, Whole Foods Market, Free Fun in Austin.